This martial Art has a history of many thousands of years. Its roots lie in several marital arts styles developed on the ra-hu man's home world. An amalgam of these forms made its way into the Palladium world, where it was refined into the Algor Mountains, at the monestary of Von Hodlon, an important place in ra-hu man mythology. Since then it has remained more or less the same. Optionally, one can allow students of Aslyl Okta to learn Chi Abilities, Martial Art Techniques, and/or Specialty Katas from Ninjas and Superspies and/or Mystic China. Each one of these will cost 3 OCC related skill selections to most OCCs, and only 2 skill selection, of any category, to a Warrior Monk. At 12th level, the Warrior Monk may select a zenjoriki ability. If allowing this, instead of spending chi (unless, of course, you use chi in your Rifts game, in which case Aslyl Okta gives +5 chi, with another +5 at levels 5, 10, and 15), spend triple the listed cost in ISP or PPE (player's choice) to activate abilities. This may increase the power level significantly, and should be thought out by the GM. Not all abilities may be available (GM's choice). There are two different styles used in Aslyl Okta. When fighting other Ra-hu men or multiple attackers, the Martial Artist will keep a little more than an arms reach and attempt to land as many blows as possible while parrying most attacks. When fighting other humanoids, the Ra-hu man can utilize his extra set of arms to their full advantage. If the opponent is using hand based attacks, the Ra-hu man will attempt to entangle one (or more) of his/her arms with one (or more) of the opponents. This typically leave the Ra-hu man free to press the attack with his/her remaining arms. The Ra-hu man can also try to break the entrapped arms (does 3D6 MDC to entangled arm/attack). If the opponent is using foot based attacks, the Ra-hu man will attempt to parry or dodge most attacks, then attempt to catch the foot on a slow/misplaced kick, or sweep the opponent. 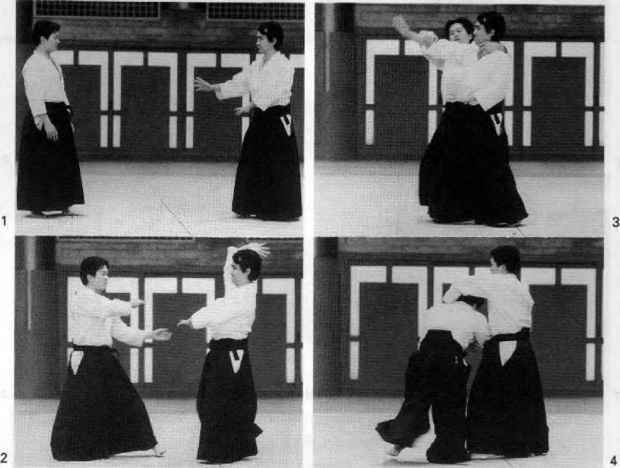 If the opponent is using small weapons, such as knives or short swords, these tactics work fine. If the opponent is using larger weapons, such as pole arms, large swords, or large clubs, the Ra-hu man will attempt to dodge most attacks (or parry is they have a convienient weapon or shield to parry with), then disarm the opponent when the opportunity presents itself. The Ra-hu man also recieves training in the use of swords, knives, pole arms, and the "Zwittentang", a huge weighted staff that is wielded with three or four arms. CHARACTER BONUSES: +2 P.S., +1 P.P., +1D6 Spd., +2 M.E.